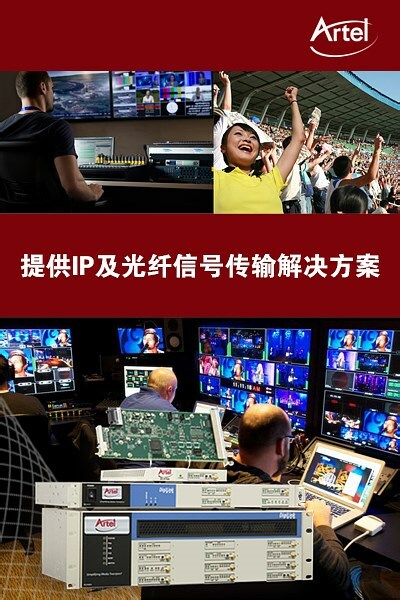 With thousands of deployments worldwide, Artel’s flagship DigiLink platform is used by the world’s largest telecommunication companies, CATV operators, and video service providers for mission-critical primary video feeds for many of the world’s most watched events. FiberLink is the industry's largest selection of fiber optic transmission solutions. Its small form factor and simplicity is ideal for professional A/V applications including broadcast, sports arenas and other large venues, distance learning, houses of worship, transportation hubs, and more! The broadcast-quality video transport market is constantly in transition as new video formats are developed and the networks used to transport contribution quality video evolve. While direct fiber has historically been the most cost effective and reliable method of transport, the development of more reliable, standards-based IP infrastructures has enabled operators to look for more cost effective, flexible, and easier-to-manage solutions. At Artel, we recognize the industry changes and leverage our 30 years of video transport experience to develop DigiLink, a reliable and simple-to-deploy media transport solution designed to take advantage of enhanced technologies. The result is a flexible, space efficient, low power, solution with thousands of successful deployments worldwide and an unparalleled reputation for reliability. Also, DigiLink is the most easy-to-deploy and manage platform on the market making it an ideal solution for government, higher education, houses of worship, sports, and other applications where reliable broadcast-quality media transport is required. Designed and engineered by broadcast engineers FiberLink delivers robust performance without breaking the budget. Best of all, the FiberLink family supports nearly every type of video, audio, and data signal from 4K/3G/HD/SD-SDI to composite video, DVI and RGBHV. Artel’s DigiLink and FiberLink product lines combined with our long history of exceptional customer service, make Artel the ideal partner for your media transport needs.